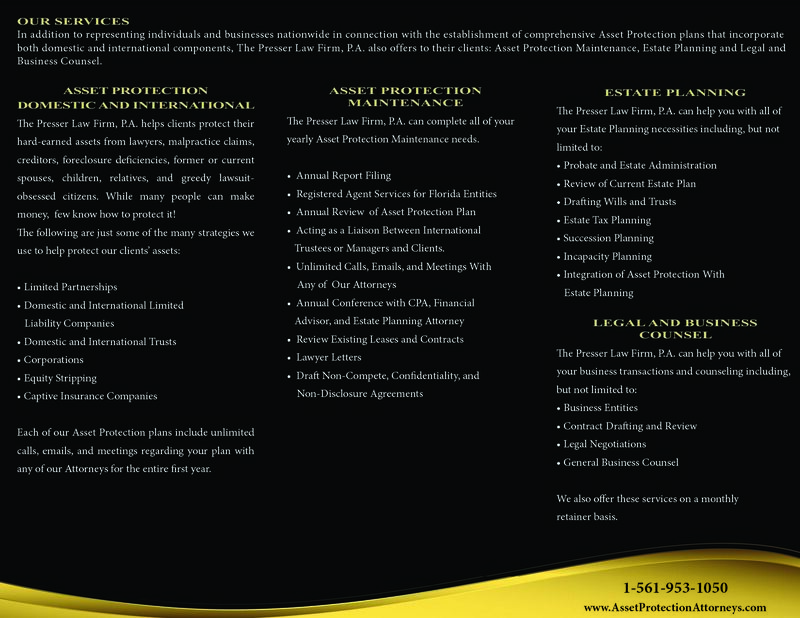 Learn More about the Attorneys and Staff of The Presser Law Firm, P.A. 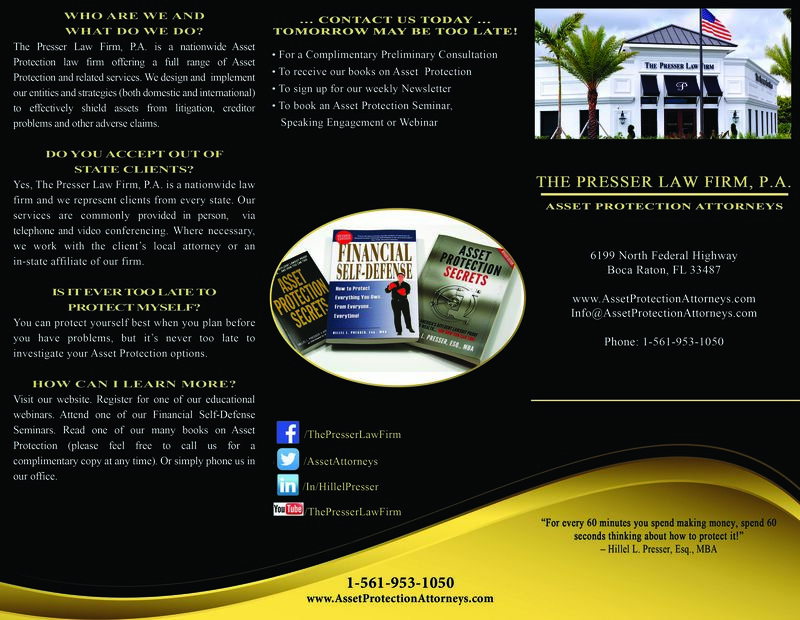 The Presser Law Firm, P.A. 's Firm Pledge to our clients. The Presser Law Firm, P.A represents individuals and businesses in connection with the establishment of comprehensive Asset Protection plans that incorporate both domestic and international components. We help our clients protect their hard-earned assets from lawyers, malpractice claims, creditors, foreclosure deficiencies, former or current spouses, children, relatives, and greedy lawsuit-obsessed citizens. While many people can make money, few know how to protect it. We have been featured in numerous newspapers and magazines, among them Forbes, Sports Illustrated, The Robb Report, The Houston Chronicle, and The Los Angeles Times. We have also appeared on several radio and television stations such as FOX, BRAVO, NBC, ABC, and CBS and have been profiled in the international press in Canada, Germany, Greece, Ireland, and the United Kingdom. We have represented some of today's most well-known business owners, celebrities, and professional athletes.